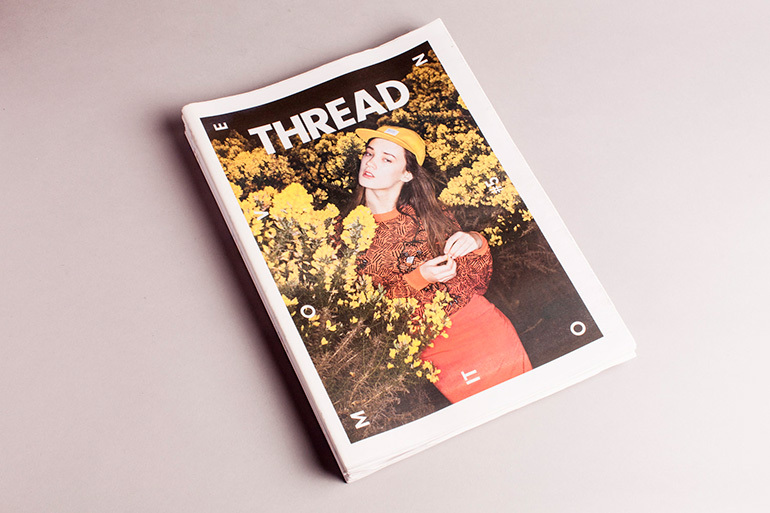 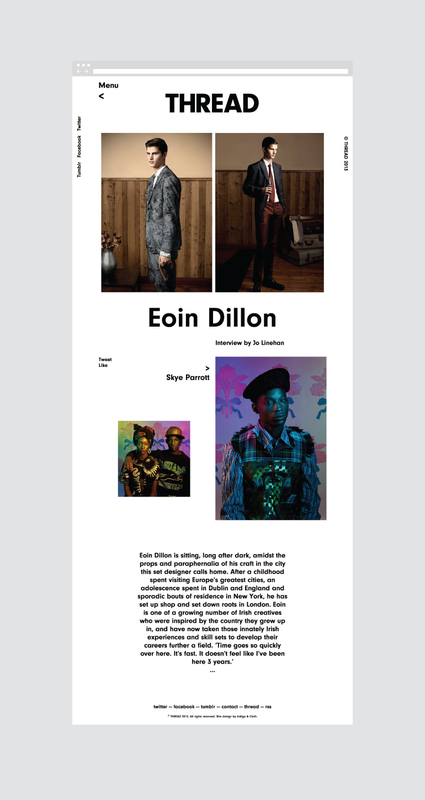 Thread Fashion Magazine is a bi-annual print publication showcasing both local and international talent working in fashion or making waves as independent thinkers in publishing, art, design, film and music. 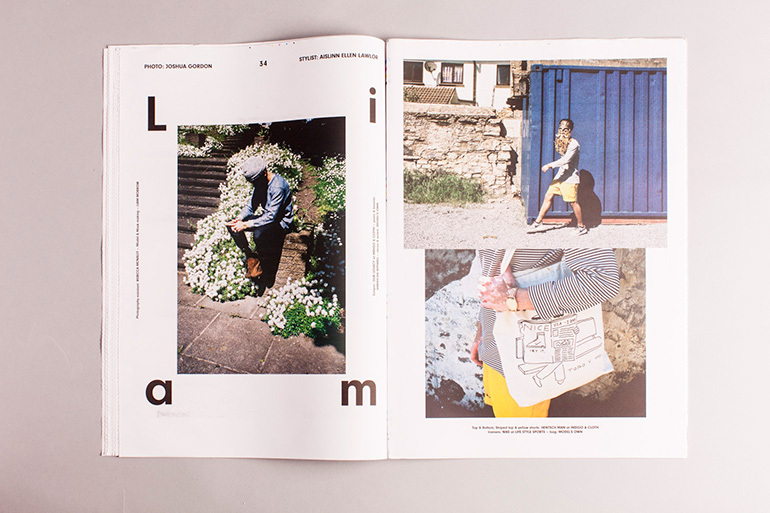 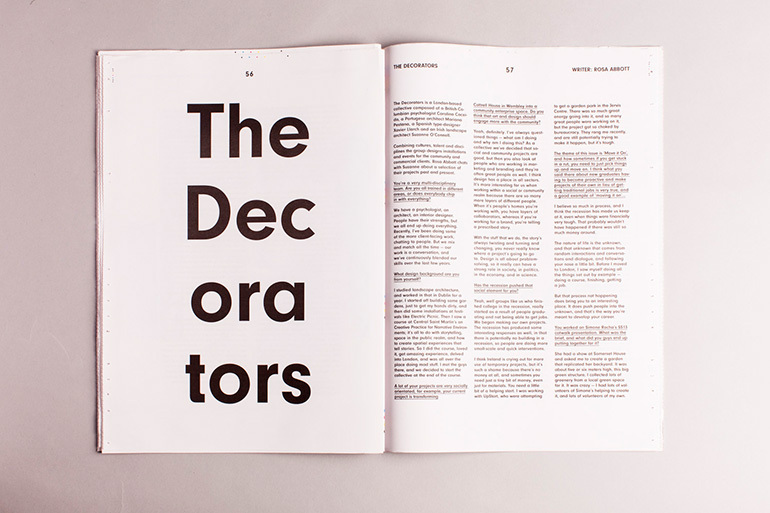 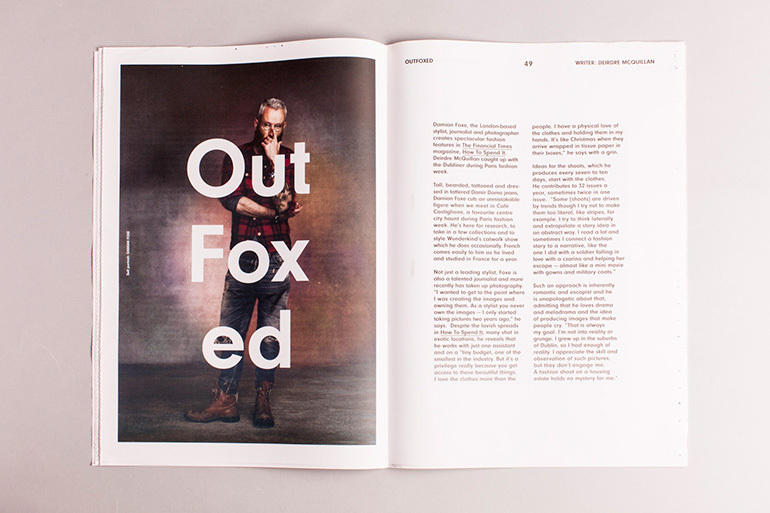 Indigo & Cloth designed the first 5 issues of the magazine and website. 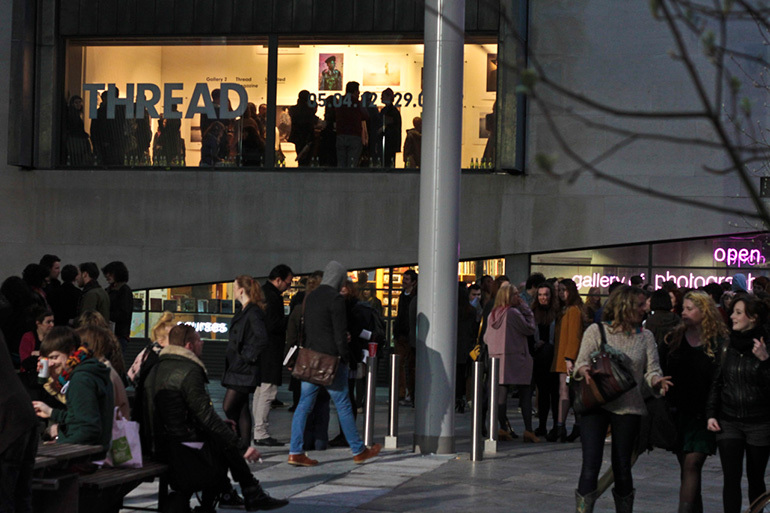 THREAD was founded by Garrett Pitcher (I&C), Keith Nally & Aisling Farinella.